Razer is an American gaming company that was founded in 2005 by Min-Liang Tan and Robert Krakoff. Today, Razer is listed on Hong Kong stock exchange and offers an entire ecosystem of gaming hardware, including a line of high-end laptops designed with gamers’ needs in mind. 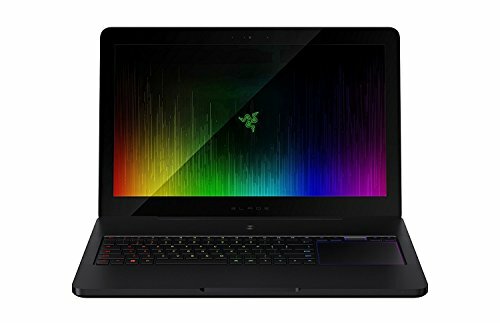 Razer markets its laptops under the Razer Blade line, selling models starting at 12.5 inches and continuing all the way up to 17.3 inches. Because each model Razor sells is available in several different hardware configurations, it’s very easy to get lost in the sea of visually similar laptops. To help you choose the right Razor Blade gaming laptop, we have broken down Razer’s current lineup according to display size and selected only one model for each size (with one exception). Starting with Razer’s largest laptop, the Razer Blade Pro is a 17.3-inch portable gaming powerhouse with an overclocked 7th Gen Intel Core i7 Quad-Core processor and Nvidia GeForce GTX 1080 graphics card. The presence of Nvidia’s flagship consumer graphics card is important because the Razer Blade Pro has a stunning 4K IGZO G-SYNC panel with support for touch input, and it takes a lot of processing power to push all those pixels at 60 frames per second—the standard required by most gamers today. Apart from its processing power, the Razer Blade Pro has up to 2 TB SSD and 32 GB DDR4 memory. Being the first THX-certified mobile device in the world, the Razer Blade Pro promises a flawless visual and audio experience right out of the box, making it suitable even for professional video or graphics editing. When you first open the Razer Blade Pro, you might be surprised by the unusual placement of the touchpad. Instead of being below the keyboard, Razer placed the touchpad where you would normally expect to find a numpad, and there’s a good reason for this. The touchpad is actually a 4-inch LCD panel with a resolution of 800 x 480 pixels that can display everything from a traditional numpad to shortcuts for games. But is this extraordinary gaming laptop worth its steep price of $3,699? We think that it is. Add together the price of all the individual components, including the brilliant 4K display, and you’ll end up with a price that’s quite similar to the price of the Razer Blade Pro. 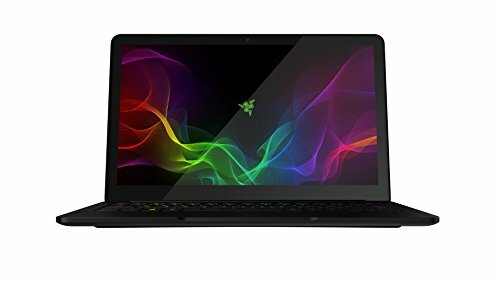 The Razer Blade is the best-selling laptop by Razer, likely because of its excellent balance of portability and utility. For $1,799.99, you can have it with the Nvidia GeForce GTX 1060 graphics card, 256 GB SSD, 16 GB RAM, the latest Intel Core i7-7700HQ quad-core processor, and 14.0-inch IPS Full HD matte display. All of this inside a compact aluminum body with a thickness of just 0.7 inches. With gaming in its DNA, the Razer Blade doesn’t neglect input devices, featuring an anti-ghosting keyboard with 16.8 million color options per key as well as a spacious touchpad with a very smooth surface and responsive buttons. In many ways, the Razer Blade is the closest thing the MacBook Pro, sitting right between the 13-inch and the 15-inch MacBook Pro. 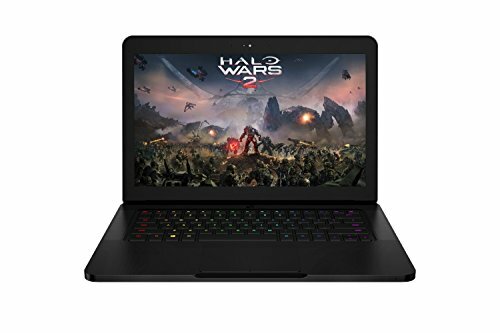 While there are many other laptops that offer the same or even better gaming performance, but you would be hard-pressed to find even a single laptop that’s also as stylish and as portable as the Razer Blade. The Razer Blade is also available with a 4K display with a pixel density of 314 PPI. With such a high resolution and pixel density, the display is as sharp as the human eye can see, and its color reproduction breathtakingly accurate. Considering that it costs “only” $200 more than the Full HD version of the Razer Blade, the state-of-the-art 4K display seems like an obvious choice, doesn’t it? Not really. Because the 4K Razer Blade has the same graphics card, the Nvidia GeForce GTX 1060, as the HD Razer Blade, gaming at the native resolution of 3840 x 2160 pixels isn’t an option. So, if gaming is the primary thing you would like to do on the laptop, you’re better off buying the HD model and saving $200. The 4K display is great for tasks like graphics and video editing or CAD work. Most professional applications like Adobe Photoshop allow you to scale their user interface so you can use the native resolution to display more content on the screen without making text unreadable. 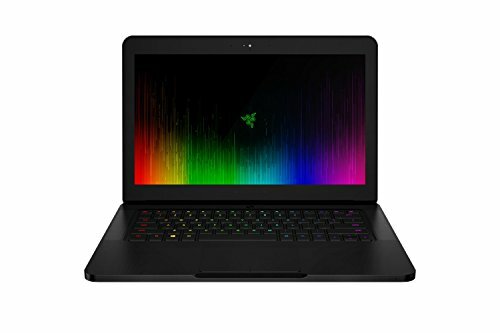 The Razer Blade Stealth is a well-made ultrabook with the latest 7th Gen Intel Core i7 processor, 16 GB of RAM, 13.3-inch QHD+ touchscreen, and the Intel HD Graphics 620 integrated graphics chip. How can a gaming laptop only have an integrated graphics card? Because the Razer Blade Stealth can connect to the optional Razer Core external graphics enclosure with a single Thunderbolt cable to deliver desktop-level graphics performance. With enough space for any modern graphics card, the Razer Core enclosure is an innovative, plug-and-play system for playing modern AAA games on a laptop. Because the enclosure supports any PCIe graphics card, you can easily stay at the cutting-edge of graphics performance and enjoy games at the highest settings. 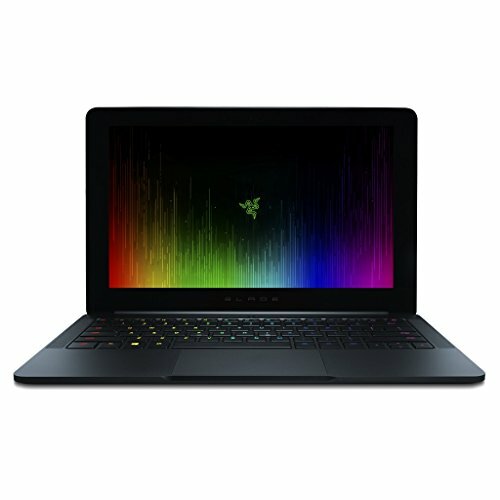 And with four USB 3.0 ports and Ethernet, the Razer Core can instantly transform the Razer Blade Stealth into a full-fledged desktop computer, making it possible to use a single compact laptop for everything from note-taking to gaming to video editing. The 12.5-inch Razer Blade Stealth is the smallest laptop Razer makes, weighing only 2.84 pounds and being 0.52 inches thin. Despite its compact size, it features a powerful Intel Core i7 processor, 512 GB SSD, 16 GB RAM, and the Intel HD Graphics 620. Just like its larger brother, the 12.5-inch Razer Blade Stealth can also be connected to the Razer Core graphics card enclosure for desktop-level graphics performance. A laptop of this size and performance is perfect for everyday use, allowing you to get things done without waiting for applications to load and images to render. And when you return back home, you can connect it to the Razer Blade core with a single Thunderbolt cable and enjoy your favorite game.